NHDC Full Council meets on Thursday January 31st to decide whether to extend the Development Agreement with Simons Ltd. The Churchgate Liaison Forum on January 9th and the Public Meeting organized by Keep Hitchin Special on January 22nd discussed this issue. Each attracted an audience of about 100 and both found strong support for the Council to refuse to extend the contract. We understand that Councillors cannot be certain of the decision before the debate is concluded at the meeting on January 31st, but Hitchin Councillors were very clear at their meeting of Hitchin Committee on January 8th that with the information before them they would not support any extension. All Councillors in the district need to know how the people of Hitchin feel about the requested extension. They can be contacted from info provided on the NHDC website – click here . The addresses for snail and email may be found obtained by clicking on their name (or on the ward if the name does not work). Hitchin Forum, The Hitchin Society and Hitchin Historical Society have sent the following letter to all Councillors. The decision to be made by Full Council on 31st January will have profound consequences for the future of Hitchin. As representatives of three long-established Hitchin organisations, we would ask that you carefully weigh up the following points before deciding how to vote on this crucial issue. 1. The contract with Simons signed almost three years ago provided for certain key events being completed within the first three years; without these being achieved, the contract could simply be terminated. In the normal course of events, such a serious failure by a contractor would be the end of the matter, unless some quite exceptional circumstances justified an extension of the contract. These key events have not been achieved, and we question whether there are any exceptional circumstances that might justify an extension. The most recent presentation by Simons showed an indicative scheme little different from that tabled three years ago. It is understood that Simons are now claiming increased support for their ideas, but in the absence of any meaningful and independent public consultation, does this amount to exceptional circumstances warranting a further prolonged period of uncertainty in Hitchin? 2. Simons’ proposal involves increasing Hitchin’s retail floor space by up to 30% including a new department store. Three years ago there was concern that this would cause an unacceptable increase in empty shops elsewhere in the town centre. Since then there has been a fundamental and irreversible change in retail trade, as documented in the Portas Report, and confirmed by recent closures of well-known high street chains. Is it possible for Hitchin to be unaffected by such trends, and absorb the additional retail space still proposed by Simons? 3. Hitchin Market has a key role in attracting shoppers to Hitchin, and contributing to the vitality of the town centre. Simons’ latest proposal shows that they have been unable to provide a satisfactory location for the market. They have already had three years to find a solution; do you think that given still more time they will be able to resolve this issue? 4. The original proposal, and indeed the most recent version of the Simons’ scheme, would involve large-scale modern structures on three sides of St Mary’s Church and in close proximity to the Biggin, two of Hitchin’s finest historic buildings. It is argued that without building on this scale, demolishing and rebuilding the Churchgate centre cannot be financially viable. With other options available for regenerating Churchgate, do you feel this impact on Hitchin’s historic environment is justified? 5. Car parking is key to the success of a retail centre, but the proposed increase in retail space is not matched by any increase at all in parking provision. Surface parking would be replaced by a multi-storey car park held by the developer (or an operator) on a 250 year lease. 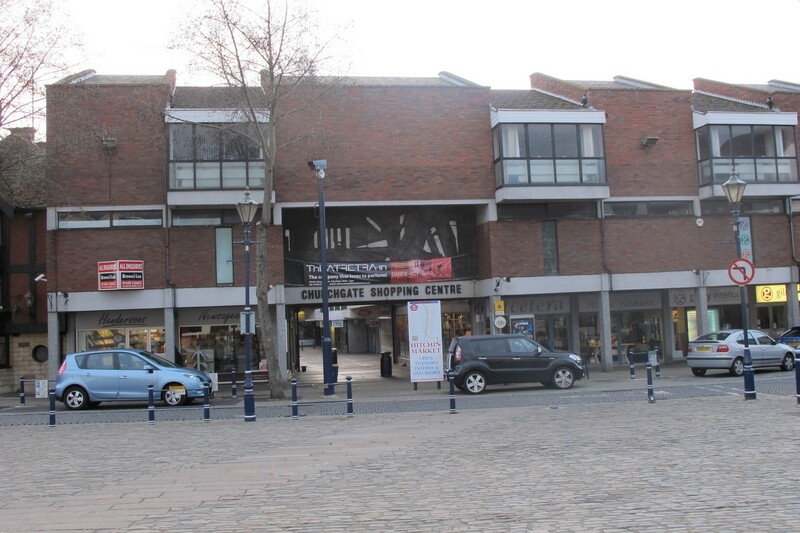 Car parking charges would no longer be under democratic control, and a multi-storey car park might well be closed at night, just when it is needed for Hitchin’s highly successful evening economy. Is it likely that this fundamental issue would be resolved by an extension to the contract? 6. 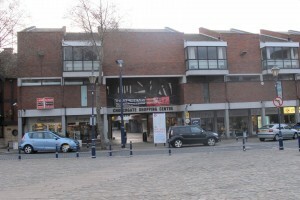 For the past three years the centre of Hitchin has been subject to blight, as no investment has been possible in the market or to improve Churchgate. With investment proposals for a realistic and credible enhancement scheme for Churchgate, and redevelopment of the Post Office site, do you consider that a further period of uncertainty can be justified by granting an extension to Simons? 7. As recently as the November Cabinet meeting, the request was for a six month extension to the contract. This has now become an 18 month extension, greatly prolonging the period of uncertainty, and preventing other investment in the town. Can this possibly be justified? 8. Again, at November Cabinet no suggestion was made that the Council would need to invest in the project. Now the Council is being asked to commit up to £2.1m in the scheme, effectively subsidising Simons’ shareholders. How can this possibly be justified? What will electors elsewhere think about this subsidy to a Hitchin development? Indeed, if the Council does have this money, might there be better ways of spending £2.1m in Hitchin or elsewhere in the District? 9. There is also the possibility that such a subsidy might be in breach of the original OJEU Notice for the project. Are you confident that this could not result in costs being awarded against the Council, or even a risk that individual Councillors might be held liable? 10. We do not understand why Simons wish to continue in contract negotiations with the Council when on their own admission they have no viable plan, no anchor store tenant, and no financial backing to achieve their vision. For a period of 22 months, they failed to consult with the public and market traders; only now, faced with the loss of a generous and lucrative 250 year lease, have they shown renewed interest in generating support for their scheme. Against this background, can the argument in favour of granting an extension be regarded as truly exceptional? Contrary to some suggestions, we are not opposed to development in Hitchin. We welcome development that contributes to Hitchin’s sense of place, and helps secure a vibrant and successful future for the town. However, we believe that the Simons’ proposal falls far short of meeting these objectives, and should no longer be allowed to hold up other more appropriate development in Hitchin. We trust you will agree with us and vote against any extension to the contract. We cannot emphasise enough that we live in a democratic society and councils should always listen to the thoughts and feelings of the local residents. Do contact them.